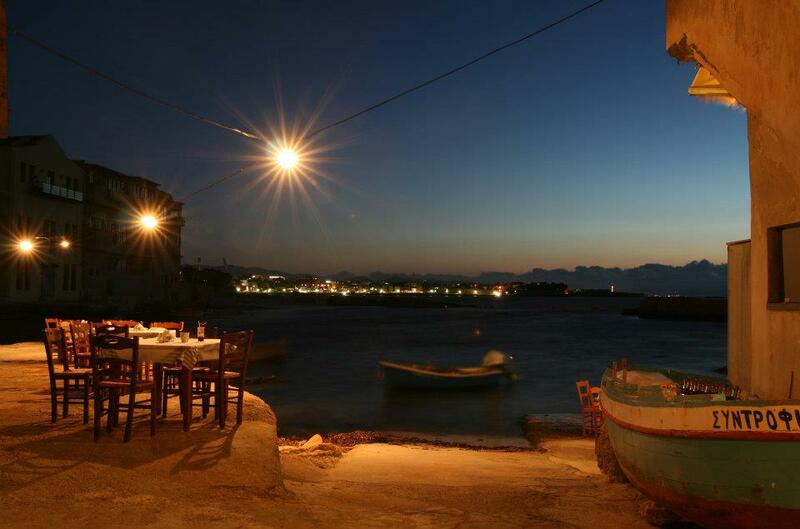 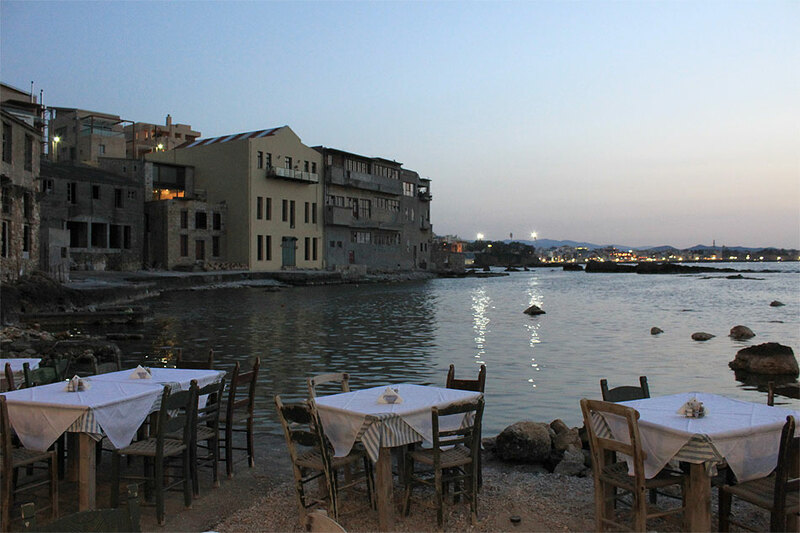 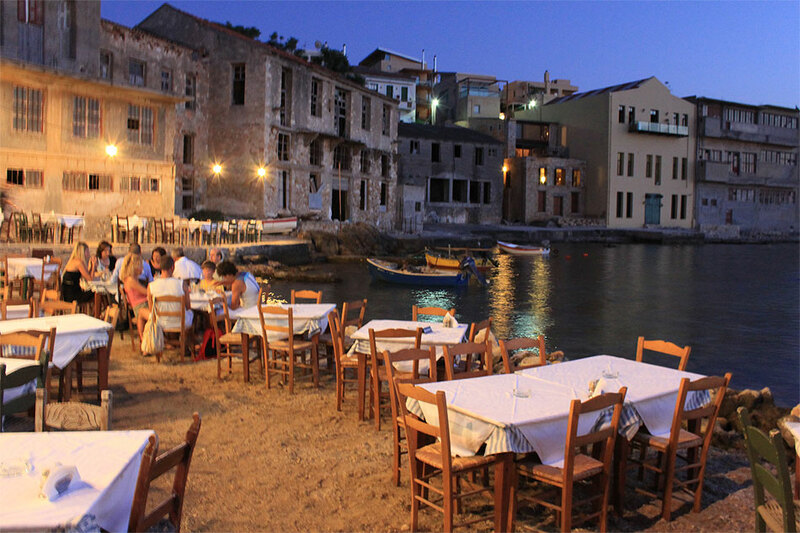 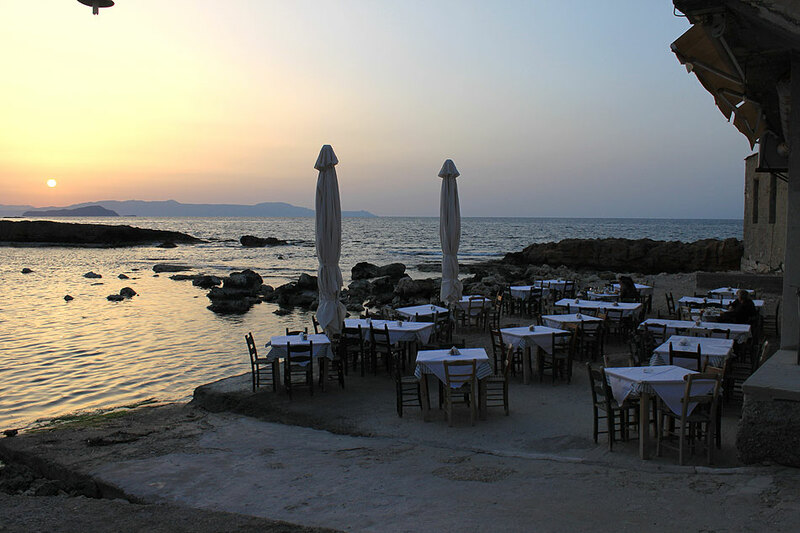 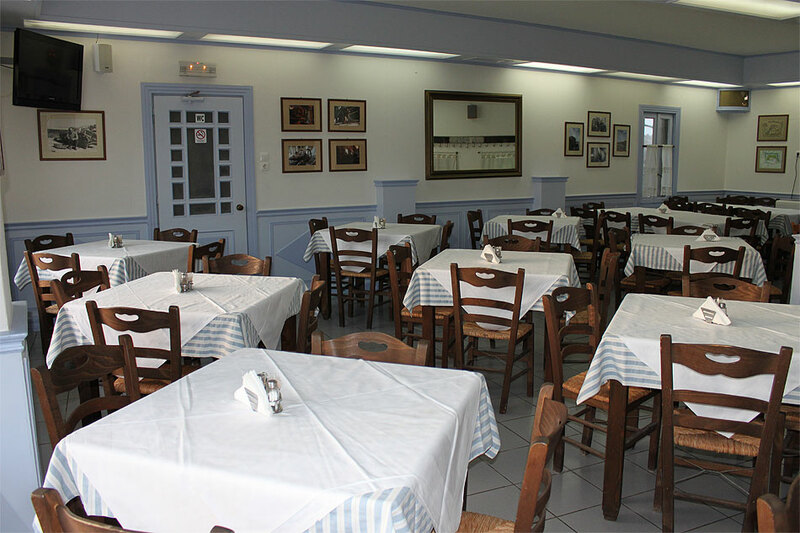 Υou will find the most charming restaurant of the city of Chania, right on the sea in the neighborhood of Tabakaria, in the old district of Chalepa. 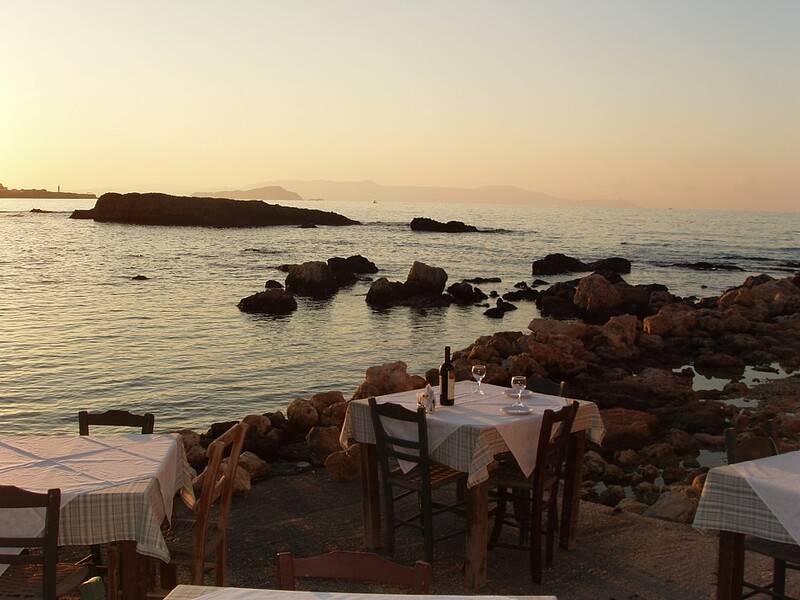 Thalassino Ageri is a common secret for gourmands and is perfect for an idyllic dinner under the sound of the waves. 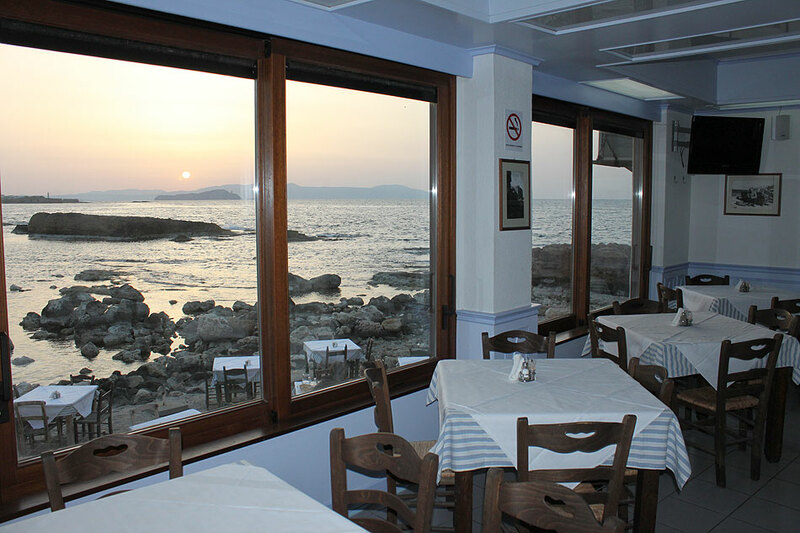 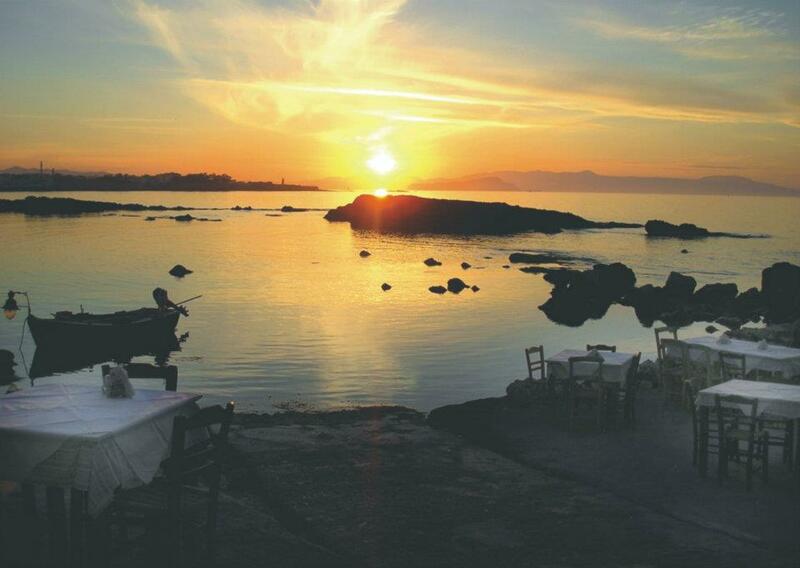 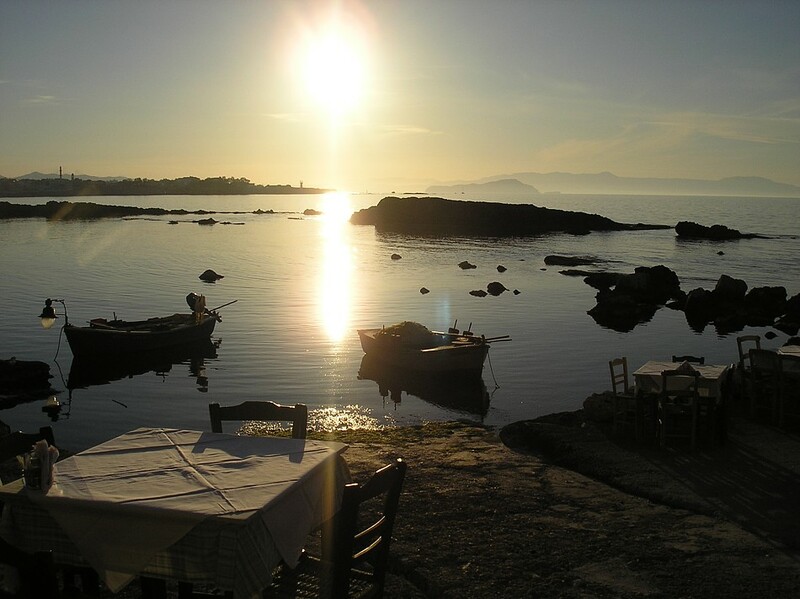 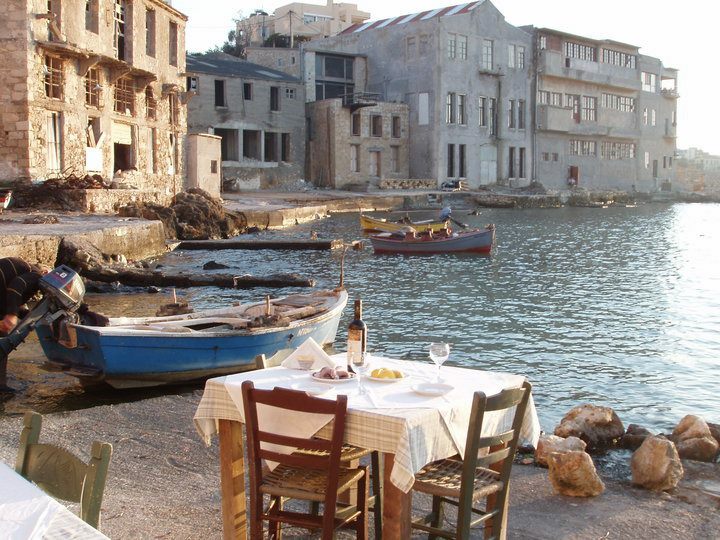 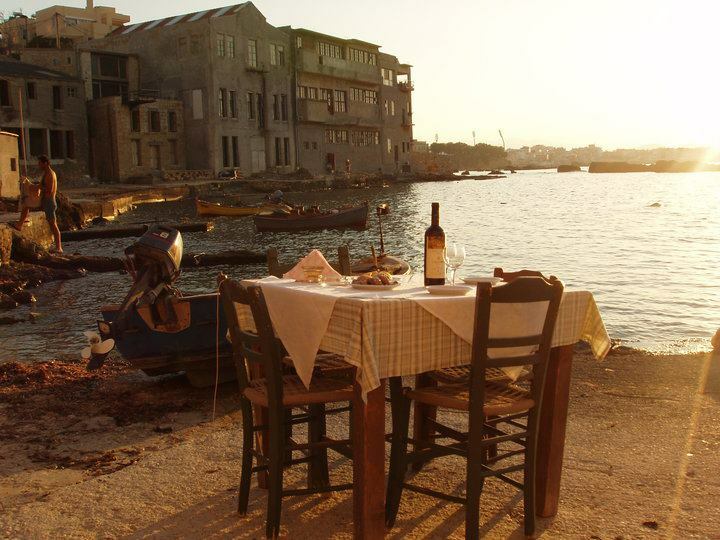 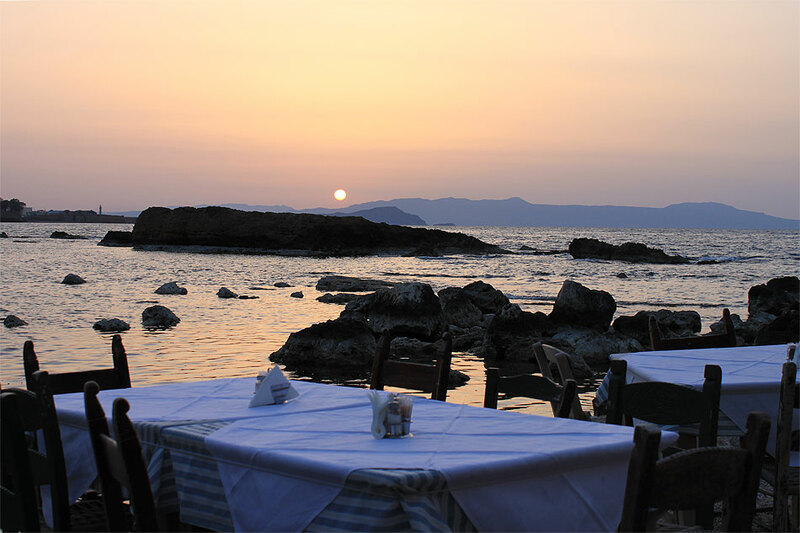 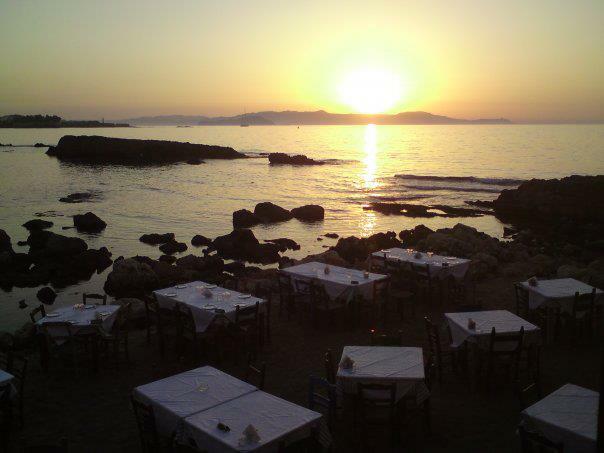 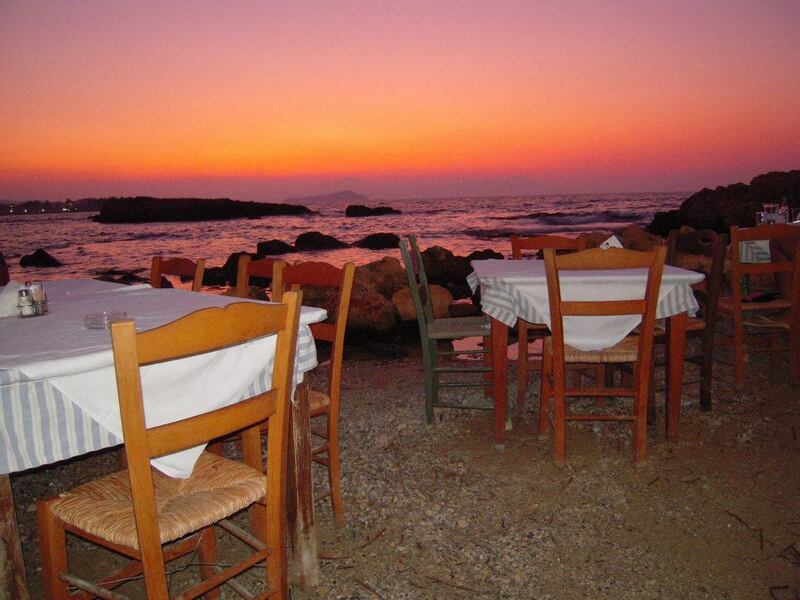 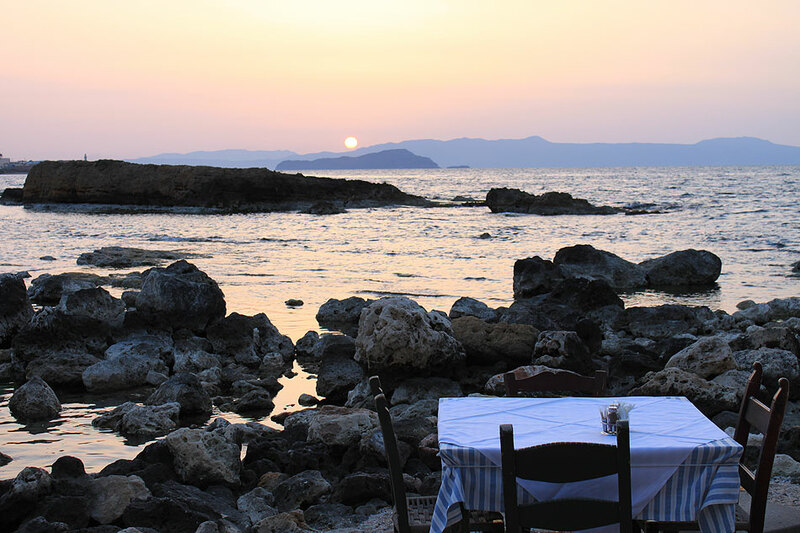 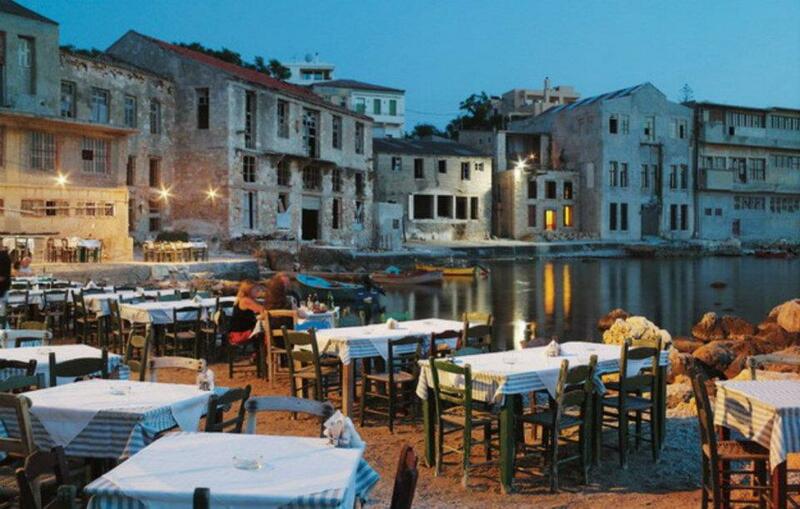 The sea’s view is magnificent and the Mediterranean cuisine will charm even the most demanding clients. 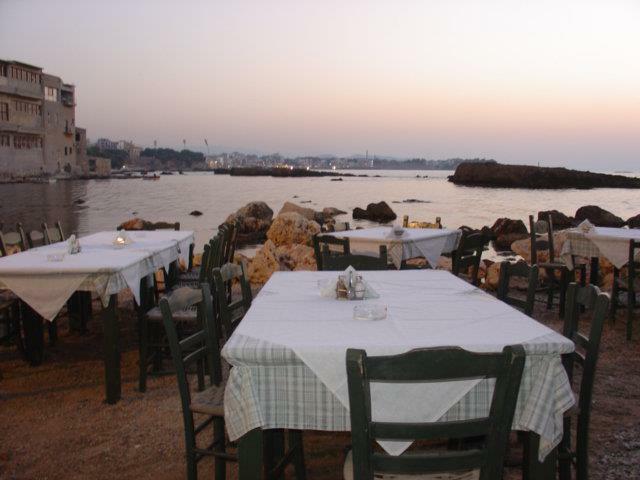 Fresh fish, well cooked octopus and squid, lobsters and kolochtypes with pasta, whitebait, unique urchin salad, bread and salads accompanied by the sea breeze constitute the best dinner in the city of Chania. 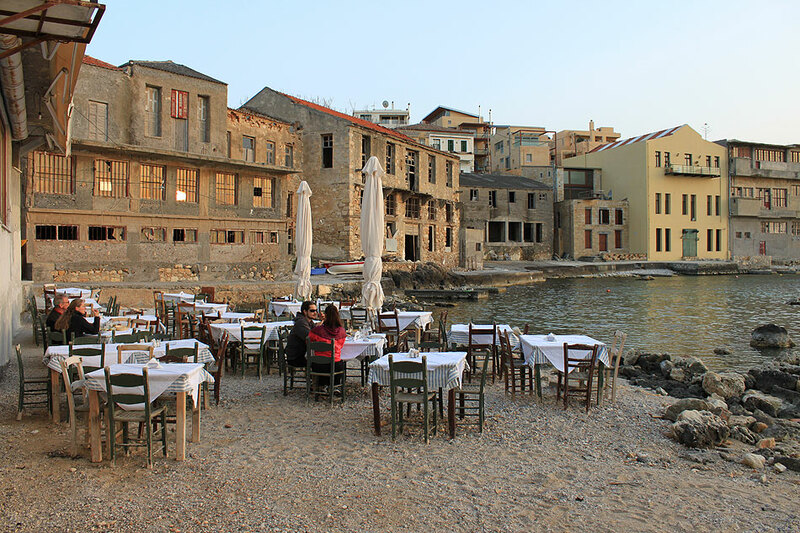 Tabakaria, the abandoned empty buildings surrounding Thallasino Ageri, keep intact their imposing architecture and are monuments of the industrial history of the site. 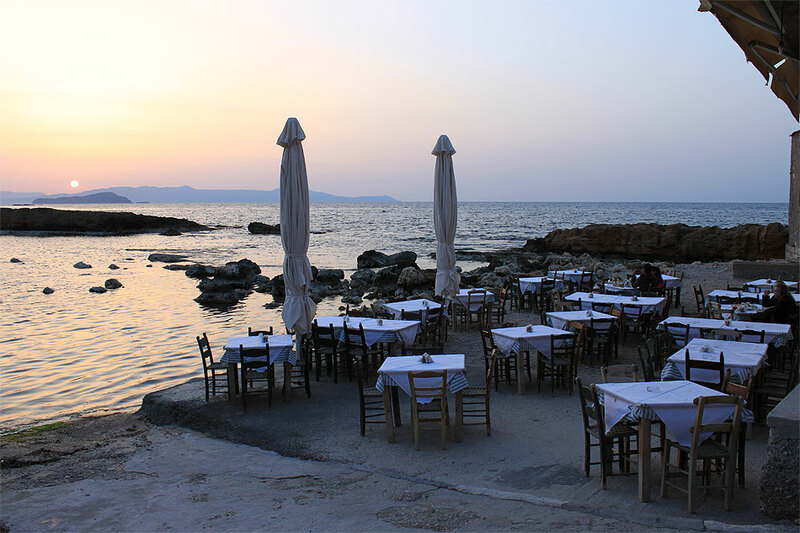 They compose the movie setting of your dinner at Thalassino Ageri and convert it into an experience right where the waves crush!